UC/CSU Pending Approved: Math area “C” requirement. This course is considered an elective and does not satisfy the OLP Math graduation requirement. 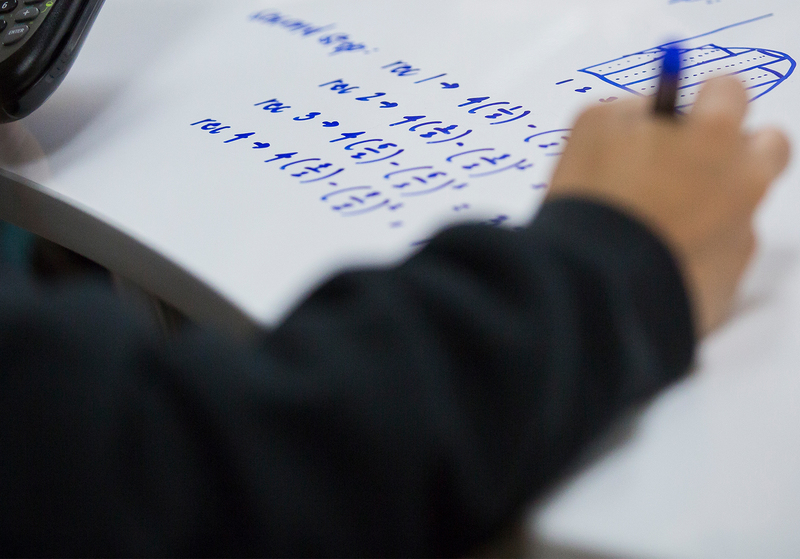 Advanced Math Topics Honors is a course designed for high-achieving and/or highly motivated math students who want to compete in high school math competitions. The course will cover a variety of Algebra and Geometry topics. Students will be challenged to develop a deeper understanding of these concepts than is typically required in regular or even honors Algebra and Geometry courses. They will develop the skills and understanding necessary to complete higher-level, critical-thinking problems that synthesize and even stretch beyond these concepts. This curriculum will also prepare these students to compete in several state and national math competitions both individually and as a team. Students must commit to participate in at least one of these competitions in order to enroll in this course. Most of the competitions will be hosted by the Mathematical Association of America. Students are encouraged to review these competitions before signing up for the course.